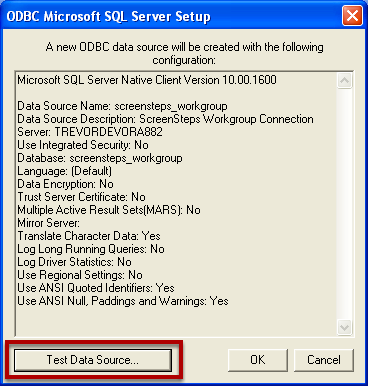 When connecting to your SQL Server database with the admin tool you will need to connect via a DSN. If you are not familiar with how to create a DSN then follow the instructions in this lesson. 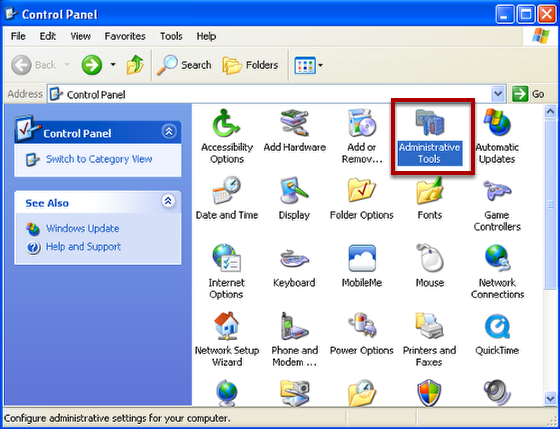 From the Control Panel, launch Administrative Tools. 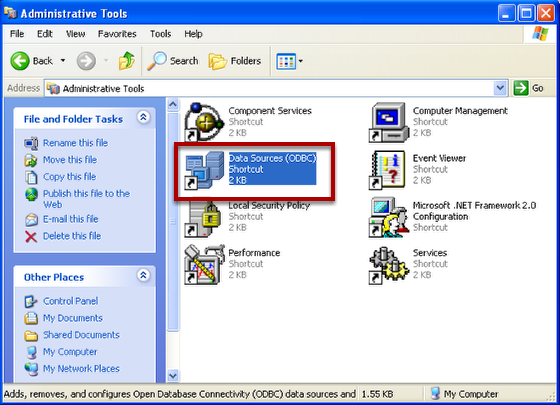 Within the Administrative Tools folder you will find a shortcut to Data Sources (ODBC). Launch this application. 1) After the application finishes launching click on the System DSN tab. 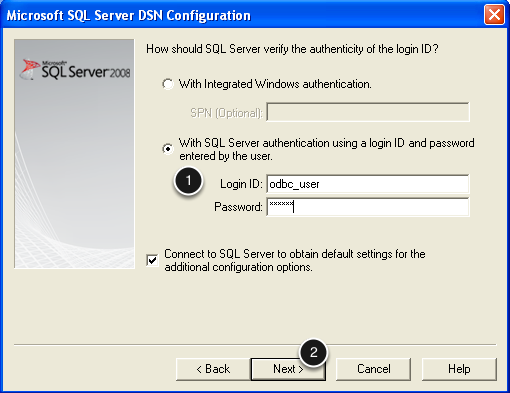 You can install a DSN that is available to any user that logs into the computer from here. 2) Click on the Add button. 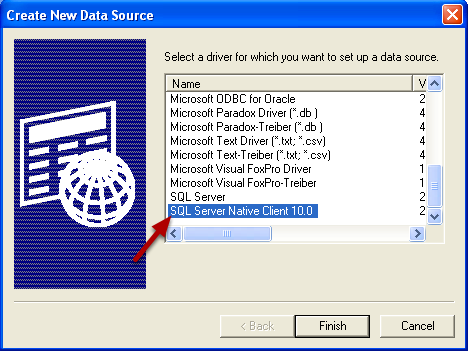 If you are using SQL Server 2008 or later than select the SQL Server Native Client 10.0 driver. 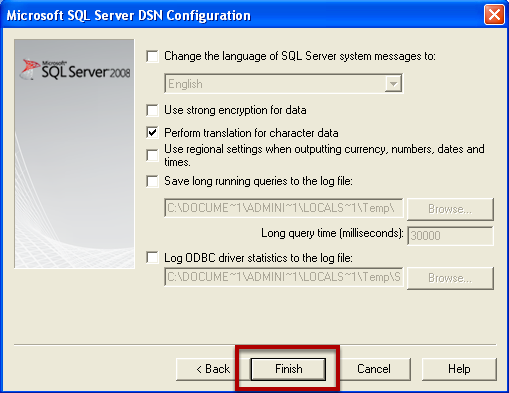 If you are using SQL Server 2005 then use the SQL Server driver. Click Finish. 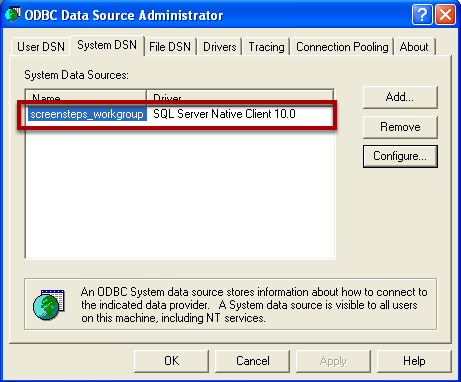 Download and run the Microsoft SQL Server 2008 Native Client installer to install the SQL Server Native Client 10.0 ODBC driver. After running the installer start over with this lesson. 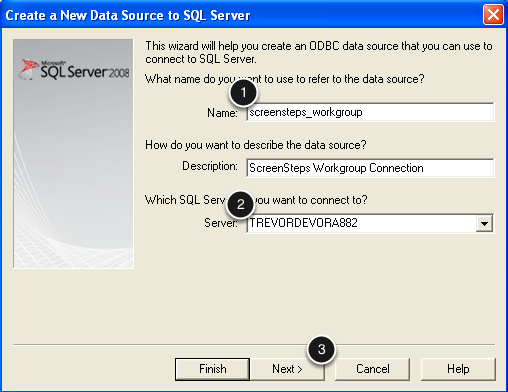 In the next dialog that appears enter screensteps_workgroup for the name (1) and specify the location of the database server (2). On this screen enter the username and password for the user you created in the previous lesson (1). Confirm that your dialog has the same settings as shown here then click Next. Confirm that your dialog has the same settings as shown here then click Finish. 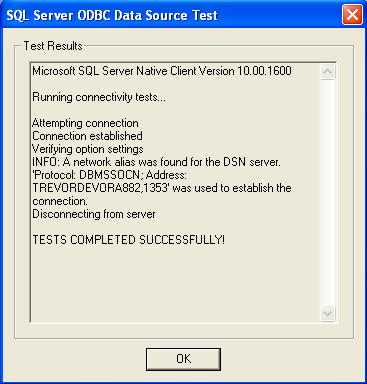 In the final dialog click the Test Data Source... button to confirm that you can connect to SQL Server. If the test is successful you can click OK to continue. If the test is not successful then go back and make the necessary changes based on the error message and try the test again. You should now have a new System DSN in the list. I fail in testing Data Source, can you please help me? @Arjmand Can you contact support@screensteps.com with the specifics of what you are doing and the error message you are seeing? how do we know what to put in at "what sql server do you want to connect to"
@john - you would need to ask the person who set up your SQL Server database. What you enter will be specific to your installation.